The first article for our Boxing Science #WeekOfTheCentury is an intriguing one. We have seen Mayweather entering an ice chamber during this training camp, following this I have had many questions what it is, and what are the benefits…. 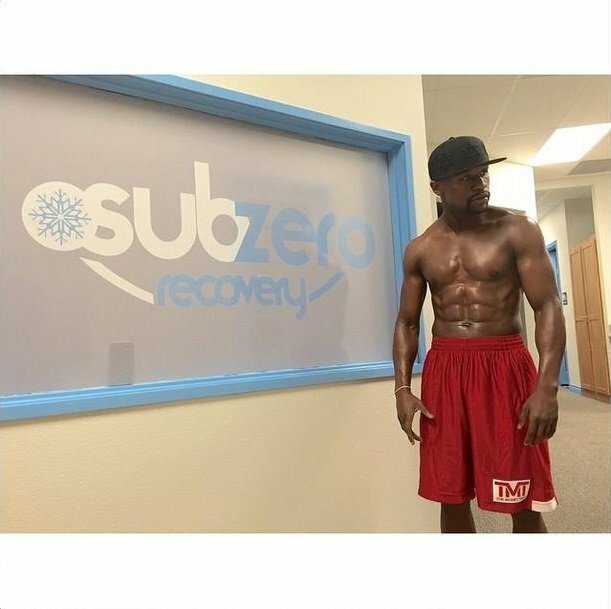 We have all seen the video’s / pictures of Mayweather visiting the Sub-zero center in Las Vegas, but what is he actually doing? This method is called Cryotherapy, a chamber that exposes the body to extreme temperatures of -130 degrees centigrade for a duration of between 2-3 minutes. There is a mix between the scientific evidence supporting positive or no effect. Despite this, Cryotherapy is used by major sports clubs in football, rugby and american football as a procedure to relieve pain symptoms, inflammatory responses, injuries and overuse symptoms. Repeated treatments are apparently not able to have cumulative effects; however, the adaptation occurs when Cryotherapy follows or accompanies intense training. What does this mean? Cryotherapy would be beneficial when under high-intensity training, however should not be used too often. With sessions costing around £50, and with a mixed bag of evidence, we tell you how you can Recover without Money. A lot of athletes and recreational sport participants like to go for the fancy, niche products that has been proven (or in a lot of cases not) improve performance by as little as 1%. recovering from a training session. Inadequate refueling can affect muscle soreness and the immune system. 3:1 Carbohydrate : Protein drink/food immediately following training, a Yazoo milkshake is a great example. 4:1 Carbohydrate : Protein meal 60-90 minutes following training. Foam rolling can reduce muscle soreness while improving muscle function and range of motion. Mobility exercises following a workout can improve range of motion. Mobility program once a day. Managing your training loads is important to ensure you get the most out of your sessions, perform well in the hard sessions, and have the easy sessions in place for effective recovery and physical adaptation. Training with similar volume loads can increase training monotony, this can lead to overuse injuries, illness and training plateau. Have an active recovery boxing session of 30 minutes shadow boxing. Get these 10%’s right and you will probably be on par with Mayweather! 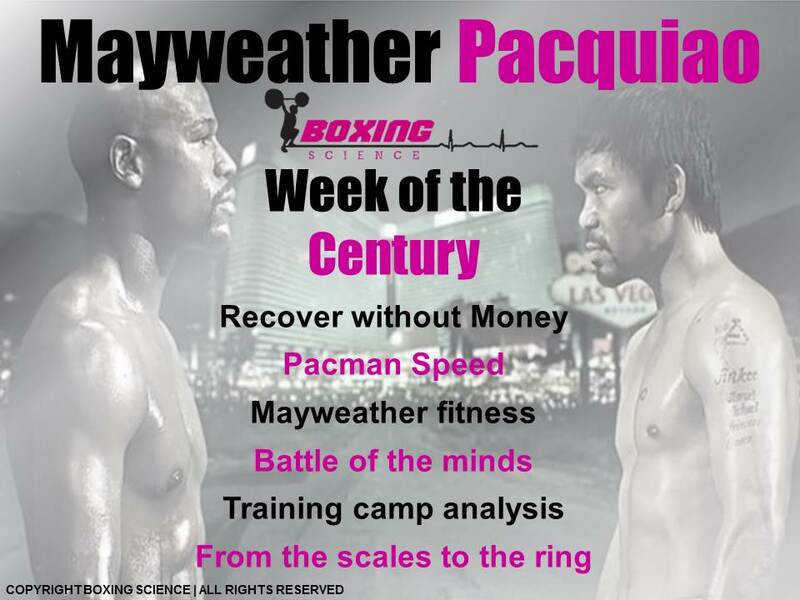 Keep tuned this week for more #WeekOfTheCentury articles… tomorrow we will be telling you how to get the Pacman Speed.